The very first photographs that I see of this somewhat peculiar looking bath bomb was on Instagram, it was shared the day before the Lush Creative Showcase. Saying that I was excited to attend the Showcase the next day was an understatement and a half. I wish I had been more prepared for the showcase, there were so many surprises and new things that I got completely overwhelmed. Had I have known the height of the hype around the Metamorphosis Bath Bomb and that it was primarily just a Creative Showcase exclusive, I would have bought more than just the one. Don’t get me wrong, I was of course very, very grateful that I did get the chance to take it home, even if it was just the one. I am just so in love with it that I wish in hindsight that I would have purchased several. I know thousands of Lushies are still eagerly awaiting it becoming available again. The good news is that I have heard from a very reliable source that it will definitely be back very, very soon. As of how, where and when, we don’t know. We will all just have to wait and see. So what makes the Metamorphosis Lush’s current most desired bath bomb? Firstly I think it is its unique design. Some have described it as a Dragon’s Egg, I however dislike this comparison as it causes confusion because Lush already have a Dragon’s Egg bath bomb and they don’t look, feel or smell anything alike. Others have described it as a beetle, again I don’t like this comparison just because sharing a bath with a creepy crawly isn’t on my bucket list of things to do before I die. Comparing it to a bionic hedgehog is as close as I can get with trying to describe it, think Sonic the Hedgehog having a baby with the Terminator. I love a good snoop on Lush forums, Instagram and Facebook and I kept seeing a lot of people being put off by its grey colour. I’ll say it now and I’ll say it again, never judge a bath bomb until you’ve atleast tried it once! As soon as the Metamorphosis bath bomb is placed in to the water shimmery silver froth bursts out of it, creating small glistening metallic waves. Within about 10 seconds colours galore burst out of the Metamorphosis, I couldn’t quite believe my eyes! There were pinks, yellow, greens, orange and a streak of blue too. At this point I really did want to kick myself for only picking up one of these from the Lush Creative Showcase. Everyone that turned their nose up at it for being grey really missed out. Metamorphosis is a very fast fizzer, its colourful display was completely finished in a rather disappointing 2 minutes. It was a beautiful display, I just like to have a little longer to admire the pretty bath art. 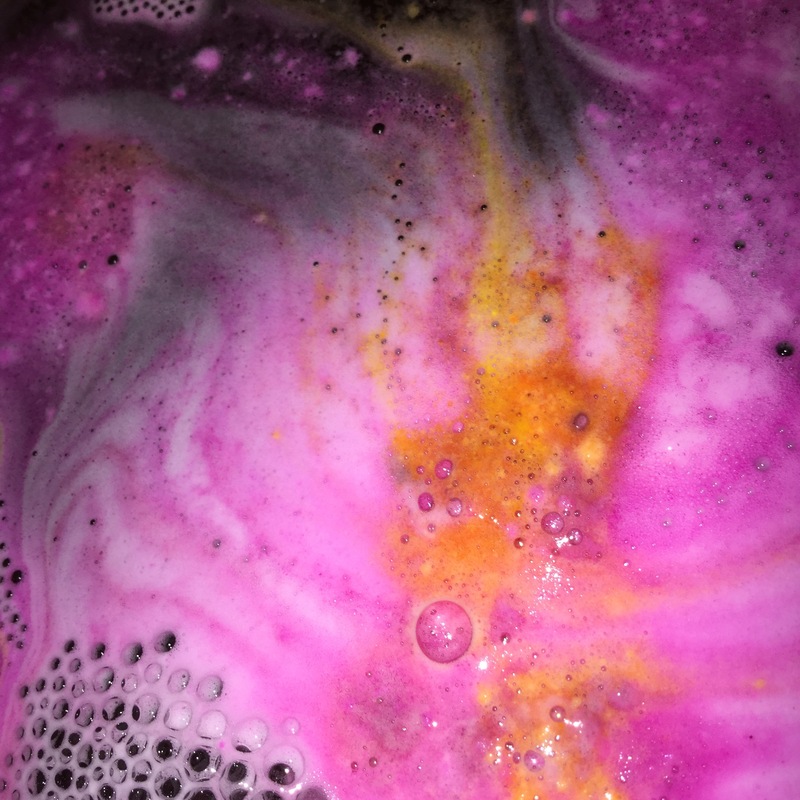 Scent wise a lot of people are describing the Metamorphosis bath bomb as very similar to the Lord of Misrule bath bomb. I disagree, it’s far more smokier and not nearly as sweet. Plus Lord of Misrule triggers my migraines and Metamorphosis doesn’t, YAY! I definitely recommend the Metamorphosis, it really is a very entertaining bath bomb, even with it being a quick fizzer, it is still first class. I cannot wait to get hold of some more of these! I love bath bombs like these. It’s like a surprise waiting to be discovered.